← Less than 30 seconds to boot up a Windows Phone? 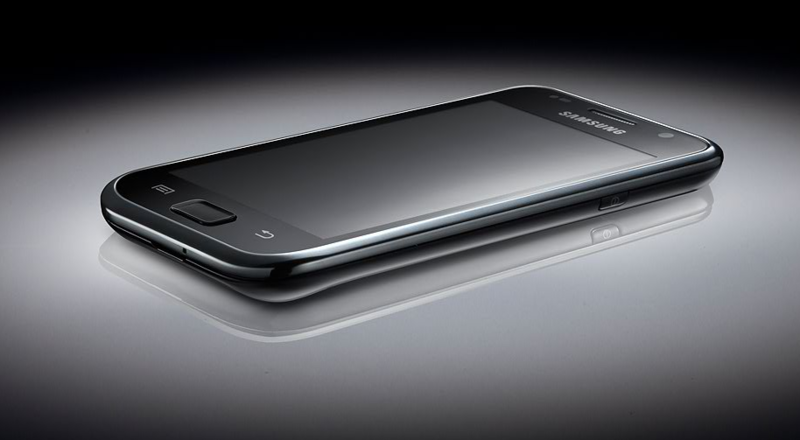 Samsung has kind of been all over the place when it comes to smartphones. 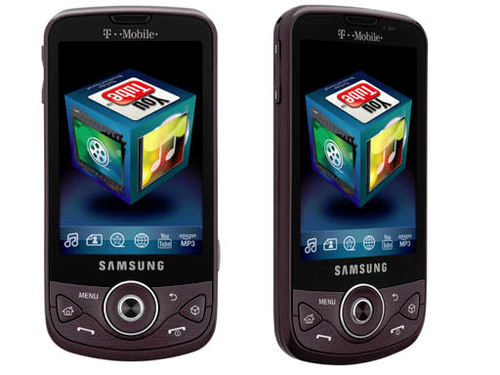 They have phones with Windows Mobile, Android, Bada, and soon Windows Phone 7. Until now it has been unclear as to which platform is most important to them and how they are even going about their mobile strategy. From a third-party perspective, one perspective that observes the launch and marketing of phones each time there is a new one, from someone who has been pleased with Apple’s marketing and displeased with Palm’s, and can clearly see the results because of it, I feel I am entitled to a detailed opinion on the matter. Let’s take a brief look at Samsung’s recent past, what they have tried, and where they are headed. The Omnia II. Samsung did some pretty decent marketing on this phone. So what was the problem? Well no matter how great the hardware was the fact of the matter is, Samsung had built it on top of the dying Windows Mobile and it has that same resistive touch screen. Manufacturers may have been able to get away with the resistive screen in 2007 and 2008, but in 2009 and 2010 there is just no way. People have used capacitive for a couple of years now and know how easy it is to use. Going from capacitive to resistive is a complete nightmare. (no offense to resistive fans, we know with a stylus its more accurate than capacitive but no one wants to hold a stylus.) Then you have the Behold II. The Behold II is supposed to be a successor to the Behold I, which is essentially an Instinct, but this phone is just awful. It was released at the end of 2009, and comes with the weakest hardware on the market today. It also comes with the most bloated software. In my time using a Behold II I was just frustrated and let down. Samsung has such amazing hardware on Windows Mobile and now they have this Behold II with the useless TouchWiz interface, an old Version of Android (1.5), and on a fairly ugly looking piece of hardware. So we figured Samsung was out of the game until they can release the rumored Bada OS. Now fast forward to early 2010 and the unveiling of Bada. There was a ton of hype and excitement around the new Bada OS and the Samsung Wave hardware, which frankly, was stunning. At the end of the day after all of the dust settled it was just another Samsung OS device, but with better hardware. Yeah the Bada OS was a step up from Samsung’s previous OS on the Instinct and Behold, but it is still not better than Android, WebOS, Symbian, or iPhone OS. So why on earth would people and/or developers invest on this platform? Simple answer, they won’t. It didn’t take long before Samsung realized this. Bada will not catch on in the United States I guarantee it and I think Samsung knows this. After just briefly showing off the Samsung Galaxy line there has been a lot more positive press and positive responses to the device. 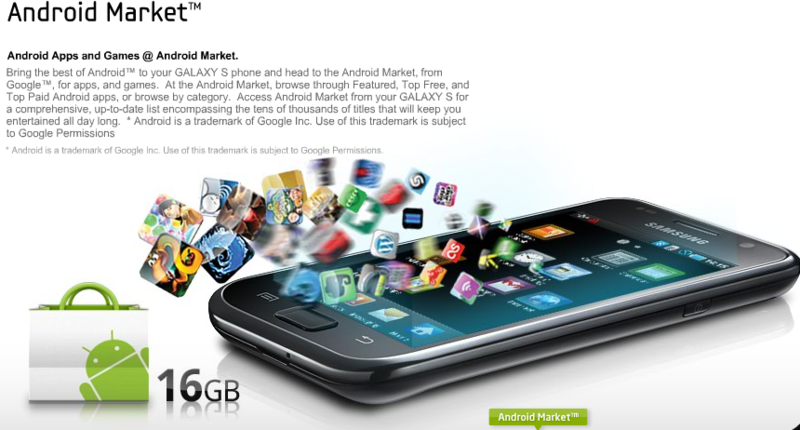 Android is a winning platform right now that is growing rapidly. Samsung knows this and they are going full fledge ahead with their new Android offering, this time not skimping on specs, software, or marketing. The Galaxy! What is there to say about this device? Well let’s start with the hardware. -5MP Autofocus camera that features; Self Shot, Action Shot, Add me, Cartoon Shot, Smile Shot on top of what Samsung thinks is a high quality Sensor. HD video recording as well! -4″ WVGA (800×480 resolution) display with 16M colors on top of Samsungs new ‘Super AMOLED’ screen and mDNIe(Mobile Digital Natural Image engine) technology. 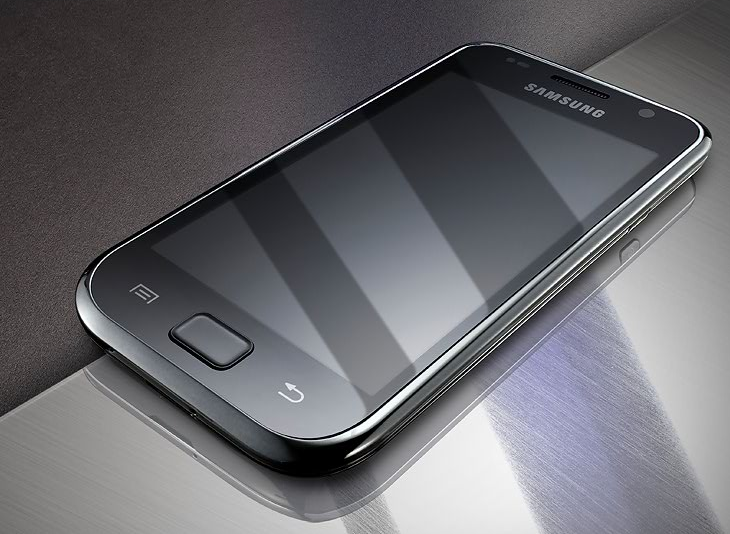 -1GHZ Processor which is supposed to have a more powerful and less power consuming chip than the Snapdragon. So what do we make of all this? It is in the “Super Phone” class of devices. The hardware is nothing short of spectacular. What about the software? They are using the most up-to-date software as of now (Froyo has still not been officially released) and its underneath Samsungs latest version of TouchFlo which actually looks nice. The icons are a little different from stock, there are additional widgets you can use on your home screen, there is a different launcher that you swipe through side to side rather than scrolling up and down. There are also a ton of little changes in the menus and highlighted colors as well as a custom notification tray UI. In the past people have had issues with custom UI’s on Android because of how long it takes to update the OS with all the new features. This won’t be as much of a problem in the future for a couple of reasons. One problem before was that hardware just wasn’t good enough to run the latest version of Android so it took a lot longer to optimize it and test it to run smoothly on the older hardware. Also, Google will eventually slow down their updating process to be something more along the lines of annual. Aside from the hardware and software on this device, which is nothing short of great, what else is Samsung doing to make this device more important than Bada, Windows Mobile, or even Windows Phone 7? Marketing and hype! Samsung has already taken a huge leap forward when it comes to marketing. 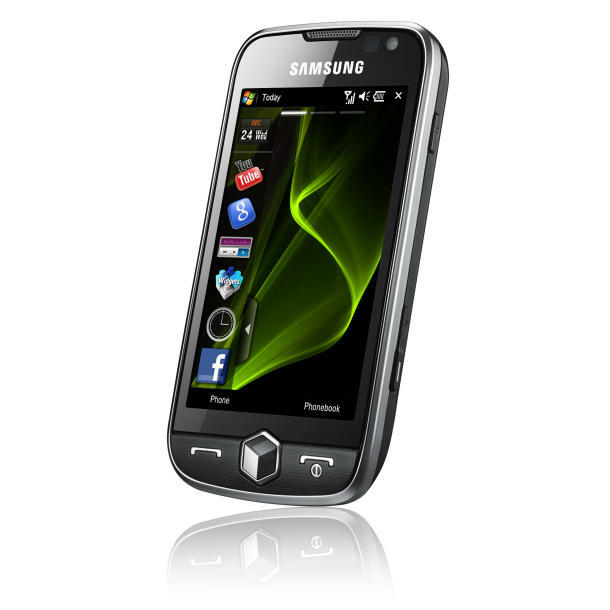 So much so that the Galaxy S now has as much if not more hype than the Motorola Droid had it its launch. Samsung has sent out boxes to press that say ‘Galaxy S coming soon’, they have been at numerous press events showing off the new device, and they are even responding to other companies new hardware by touting its own. Example of this would be Apple’s new Retina display and their claim that IPS/LCD screens are better for mobile than OLED. Samsung responded to this claim saying that IPS/LCD will never catch up to Samsung’s AMOLED technology. They say AMOLED screens have a higher contrast ratio and use much less battery. Now with the new ‘Super’ prefix in the AMOLED screens it even has a better viewing angle and is easier to view in direct sunlight than previous OLED or AMOLED screens. Now they even have a fancy website up that shows off all the phones features, specs, how-to’s, photos, and a little promotional video. This type of marketing isn’t for no reason folks. Samsung obviously believes this new phone is going to be huge. There were rumors out saying that the Galaxy is going to launch in more than 100 countries at one time. 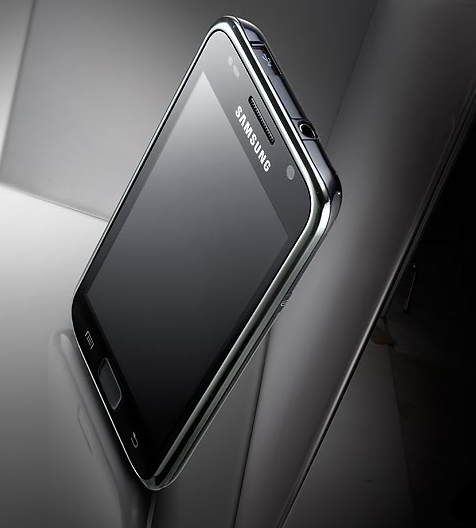 If Samsung plays its cards right they could even potentially outsell the iPhone worldwide. Even though Samsung is relatively small in the smart phone market here in the U.S., they are still huge internationally and they haven’t had a phone anywhere near as exciting as this. We will have to wait for the end of July which is the expected release date for this device worldwide, then we can all judge. Personally…. 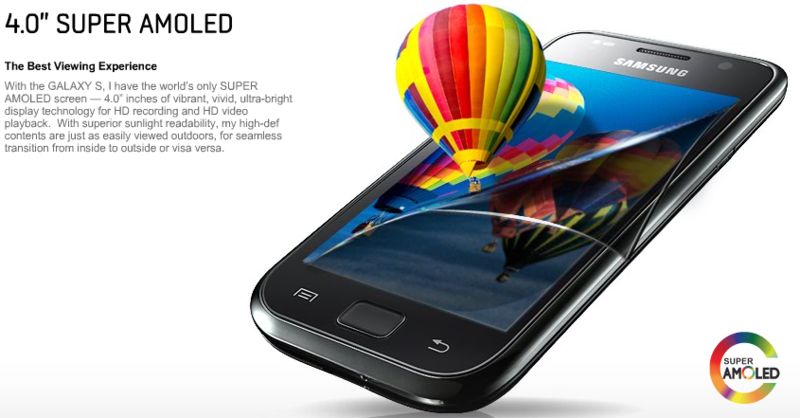 4″ Super AMOLED is going to be pretty hard to resist! 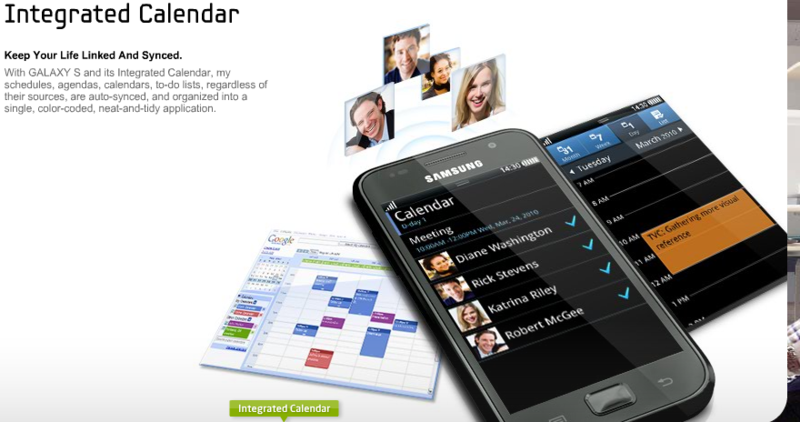 Check out Samsung’s promo site and learn everything you need to know about the phone here. @QDOG8 that is the big question right. I actually think the UI looks pretty nice. I am just hoping it doesn’t get stuck on 2.1 forever. 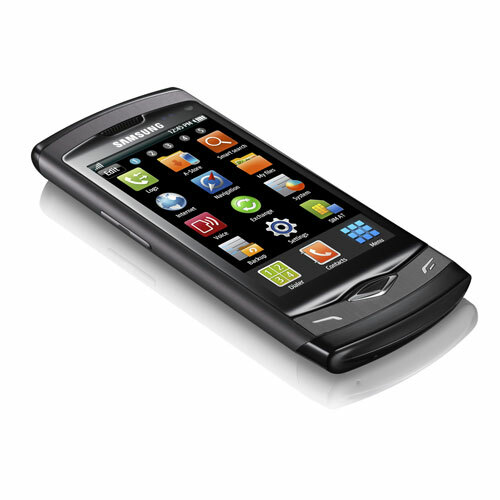 being immensely popular, it will be rooted immediately with plenty of cutting edge roms available. I wouldn’t worry about that.